In honor of a new month and the arrival of Spring, here's a new Technique Challenge to dive deeper into Reichert's Seven Daily Exercises, Op. 5! 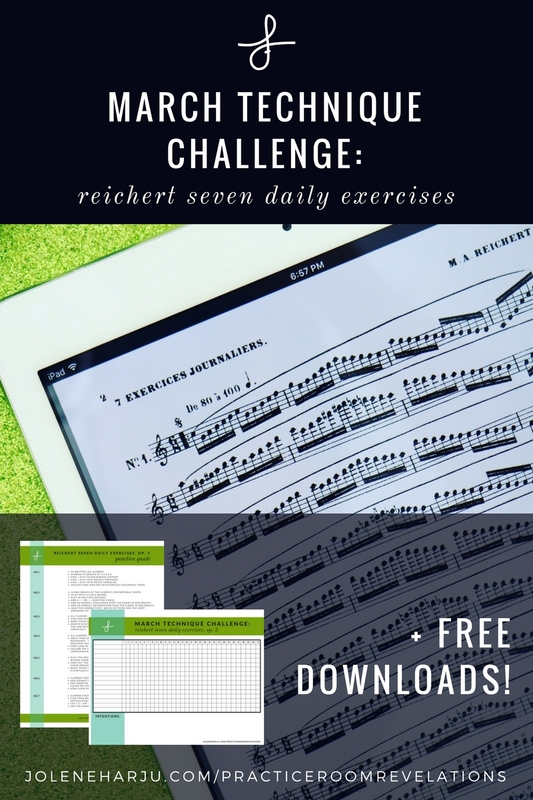 Reichert's exercises are available as a print version through most flute sheet music retailers. Click Here To Go to IMSLP! As with previous technique challenges, I've provided a practice guide filled with suggestions for practicing each of these exercises. They include varied articulations, styles, tips, and questions for self-observation. If you are new to these exercises, no need to rush and risk learning mistakes. Consider this a chance to ingrain ease and your best sound at a comfortable tempo. Always make use of a metronome and record your markings. Should you choose to utilize the Practice Tracker below, you may find it useful to record your metronome markings there. I will be sharing my own practice videos on Instagram and Facebook! Please feel free to join in, and be sure to tag me (@joleneflute)! Since there are 7 exercises, I will be posting one per day beginning on Friday, March 2nd. Once I post practice videos of the first seven exercises, I'll continue to practice one Reichert per day in order for the rest of the month! You're encouraged to post as many or as few videos as you'd like! P.S. For week two, I'll be doing these on piccolo! Watch Demonstrations of Each Exercise on YouTube! Flute Advent Calendar: Self-Care + Taffanel + Gaubert!